The Internet of Things is attaching more devices day by day, and as per the survey the count of technical devices will reach up to 24 billion by the end of 2020. This enlargement of IoT devices carries several advantages, as it will change the way people carry out their everyday tasks and potentially change the world. 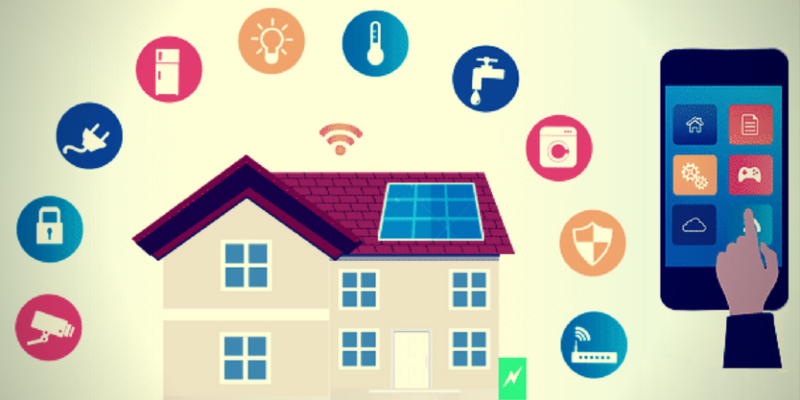 Having a smart home is no doubt a cool status, which will surprise your guest, and yes, be ready to hear more of “Oh Lala.” Listing more benefits of Smart Home is one thing that you will enjoy, just imagine how much your electricity bill reduced with smart lighting that goes ‘ON’ and ‘OFF’ with one clap. Isn’t it seems magic? In the modern era, developments allow connecting cars to link up with city infrastructure to create completely different environs for the driver, who is used slightly to the conventional way of getting from one point to another. And connected with healthcare devices gives patients a more in-depth and fuller look at their health, or lack thereof than ever before. But with all these benefits there are many risks involved, as the increase in connected devices gives hackers and cybercriminals more weaknesses of users. Late last year, a group of hackers took down a power grid station in a region of Southwestern Ukraine to cause the first blackout from a cyber attack. And this is just the beginning, as these hackers are trying to find a lot of ways in which to strike significant infrastructure, corresponding to power grids, electricity dams, chemical plants, etc. If you look it this way, your mobile phone controls your home fridge, your AC, your TV and even your door lock and if that one device gets compromised, you will be left with nothing. If there’s a disease, there’s always a medicine. To kill the risks of all online threats, all you need is a reliable security tool like a ‘Best VPN Service.’ Why? Because, anything that takes you to the edge of the hill virtually is your original IP, and a VPN hides it, encrypts it, make it invisible, and that’s how you can protect your virtual existence. To educate our readers, we have crafted a list of all available online threats related to IoT that puts our connected world to a risk of being vanished. Public Concerned – If the IoT is ever going to take off, this needs to be the first problem that companies address. The 2015 control State of the Smart Home study determined that 44% of all Americans were “very concerned” about the possibility of their data getting stolen from their smart home, and 27% were “somewhat concerned.” With that level of worry, customers would hesitate to get connected devices. Susceptibility to Hacking – Researchers have been capable of hacking into real, on-the-market devices with sufficient time and energy, which suggests hackers would seemingly be able to replicate their efforts. As an instance, a team of researchers at Microsoft and the University of Michigan recently found an excess of holes in the security of Samsung’s SmartThings sensible home platform, and consequently the ways were aloof from complicated. Are Companies Ready?– AT&T’s Cybersecurity Insights Report viewed more than 5,000 companies around the world and found that 85% of businesses are in the process of or intend to deploy IoT devices. A mere 10% of those surveyed feel confident that they could secure those devices against hackers. True Security– According to Jason Porter, AT&T’s VP of security solutions, that securing IoT devices means more than slightly securing the actual devices themselves. Businesses also need to build security into software applications and network connections that link to those devices. IoT Privacy Issues – Too Much Data, The vast amount of data that IoT devices can generate, is lurch. A Federal Trade Commission report stated in the “Internet of Things: Privacy & Security in a Connected World” that around 10,000 households generate 150 million discrete data points every day. This creates more entry points for hackers and leaves sensitive information vulnerable. Eavesdropping– Hackers could use a connected device to attack a person’s home virtually. German researchers performed this by intercepting unencrypted knowledge from a wise meter device to work out what TV show somebody was looking at that moment. Consumer Trust– Each of these problems could put a dent in consumers’ desire to purchase related products, which would prevent the IoT from accomplishing its real potential. These are some of the IoT related security and privacy issues. Besides many benefits, a user could face these security and privacy issues. Now the ball is in your court, whether you want a smart home or a secure home. Both ways, you will get some advantages and some disadvantages.